Digital video camera maker GoPro filed to go public Monday, and the company’s S-1 filing not only revealed plans to raise up to $100 million and list on the NASDAQ under the GPRO stock ticker, but it also showed that GoPro has big ambitions for media — though it doesn’t quite know how to make money in that space yet. That’s something that GoPro has figured out very well when it comes to it’s core camera business: In 2013, GoPro had revenue of $985.74 million. And with more than $60.58 million in net income, it made almost twice as much money as the year before ($32.26 million). That’s because the company’s digital video cameras sell like hotcakes: GoPro sold 3.9 million cameras and accessories in 2013, up from 2.3 million in 2012. That’s why GoPro has been pushing to become more than just a camera maker. The company wants to help distribute some of the footage shot with GoPro devices, and make money doing so. It has invested in what calls the “GoPro network,” which really is more like a multi-channel distribution strategy, building out a digital presence on Facebook, Instagram, Twitter and YouTube, and striking distribution deals with Virgin America and Microsoft. In other words: Making money with media is hard, and there’s no guarantee that GoPro will get it right. Shouldn’t Apple be trying to buy this company instead of Beats? Or Google. 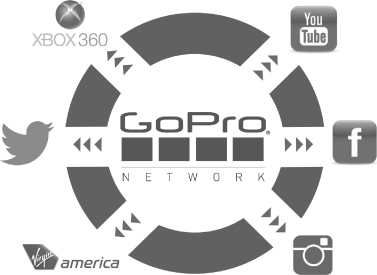 Media elements of GoPro would be boosted by Google/YouTube. Relicensing hardware tech and IP to phone and device makers would be a no brainer. Google Helmet instead of Google Glass anyone?